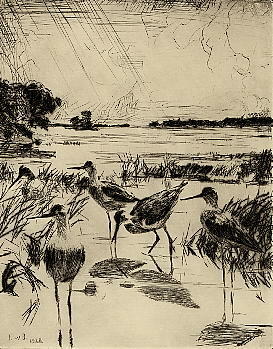 Kramer Fine Art | Yellowlegs in Sunlight. Drypoint on copper, 1928, Paff 285, edition of 150. 9 7/8 x 7 3/4.